SACRAMENTO, Calif. /California Newswire/ — More than 500 people are expected to attend the annual award luncheon Saturday, November 14, 2015 in Sacramento, to recognize winners of the "Women of Excellence," "Lifetime Achievement" and "Business of the Year" Awards presented by the Sacramento Chapter of the National Coalition of 100 Black Women. NCBW will honor women from all walks of life, for their achievements and contributions to health and welfare of the greater Sacramento community. 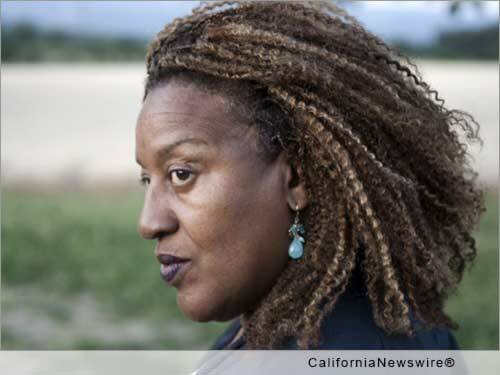 The event will be held at the DoubleTree by Hilton Hotel in Sacramento from noon to 2 p.m. CCH Pounder, award winning actress who portrays "Dr. Loretta Wade" on the CBS series, "NCIS: New Orleans," will be the keynote speaker. "For the past 14 years, NCBW has celebrated community leaders who exemplify compassion, vision, and integrity throughout the greater Sacramento region," said NCBW chapter president, Evelyn Frazier. * Tiffany Mimms, PhD – President and founder of The Rosetta Center for Counseling and Wellness, Inc: A Place for Health, Healing, and Hope. She will receive the Health Care Award. * Fredericka L. McGee – Deputy Chief of Staff and General Counsel to Speaker of the California State Assembly, Toni G. Atkins. She will receive the Advocacy Award. * Monica Jones – Founder of Lights of Tomorrow, a non-profit mentoring program for at risk youth. She will receive the Community Service Award. NCBW will also present awards to two community organizations which have ongoing programs which help further this year's luncheon theme, "Black Girls Matter." * Alpha Kappa Alpha Sorority, Eta Gamma Omega Chapter – Honored for their work with the A.S.C.E.N.D program which focuses on Achievement, Self-Awareness, Communication, Engagement, Networking and Developmental Skills as well as the Debutante Ball taken place annually for over 50 years and during this time, the chapter has raised and awarded over $400,000 in scholarship funds. * Delta Sigma Theta Sorority, Incorporated, Sacramento Alumnae Chapter. – Honored for their work with two programs which have been in existence more than 19 years, serving approximately 760 young ladies during this time. The programs are the Dr. Betty Shabazz Delta Academy and the Dr. Jeanne L. Nobel GEMS Institute. "There will also be awards given to a high school student deemed to be a 'Rising Star' based on the student's community service commitment, academic success or criteria that demonstrates that they are on a path to success," explained Frazier. The annual luncheon and award celebration is a fundraiser for NCBW's educational, public service, and scholarships campaigns. For more information, visit: http://www.sacncbw.org/. The National Coalition of 100 Black Women, Inc. (NCBW) is a national organization consisting of more than 7,000 members from 65 chapters in 25 states and the District of Columbia. Founded in 1981, NCBW is a 501 (c)(4) organization, whose mission is to advocate on behalf of women of color through national and local actions and through strategic alliances that promote its national and international agendas. Learn more at http://www.NCBW.org/. The Sacramento Chapter was chartered November 10, 2001. CCH Pounder is an award winning actress who portrays "Dr. Loretta Wade" on the CBS series "NCIS: New Orleans." She has also appeared in "Sons of Anarchy," "Warehouse 13," "Law & Order: SVU" and a numerous other TV shows. She has received four Emmy(R) nominations including one for her role on "The Shield."